Bride and groom among the greenery of Meyer's Castle. 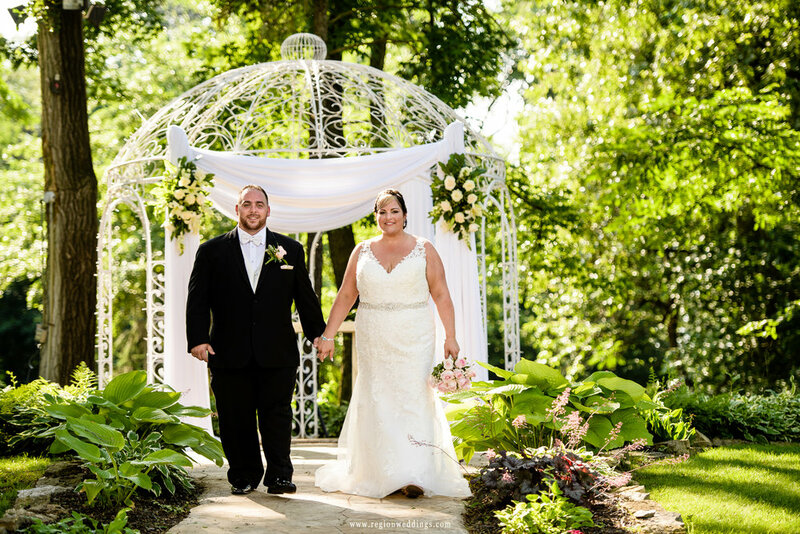 Anthony and Valerie had a summer wedding this past weekend at the iconic Meyer's Castle in Dyer, Indiana. It was full metal summer too - as in temperatures close to 100 degrees with full sun!! 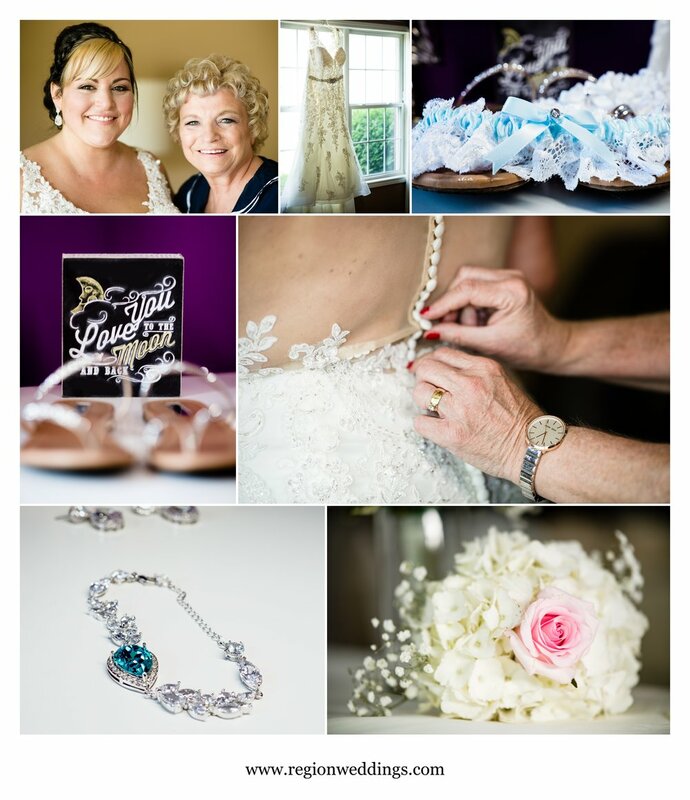 Our day started in the A/C at the bride's sister Lisa's home with bridal prep pictures and detail shots. The kids had fun hanging out with grandma and soon after we were off for bridesmaid photos at Meyer's Castle while second photographer Kerrie took shots of Anthony and the guys. Bridal prep for a summer wedding. The bride gets ready for her wedding at Meyer's Castle. The bride and groom dressed and ready for their castle wedding. The outdoor wedding ceremony took place at the back of the castle, but this is the view the guest's see as they ride the shuttle around the cobblestone road to the courtyard. I know how wonderful it must have felt for Valerie to walk out with her Dad who had been recently ill and is still recovering. I wanted to make sure I got an image of the two of them alone during the wedding ceremony and they looked extremely happy as they walked out together. Perhaps it was the heat, but the flower girls decided mid ceremony that is was time to take a break!! Afterwards we took family pictures and then I whisked Valerie and Anthony all around the grounds of the castle for pictures. 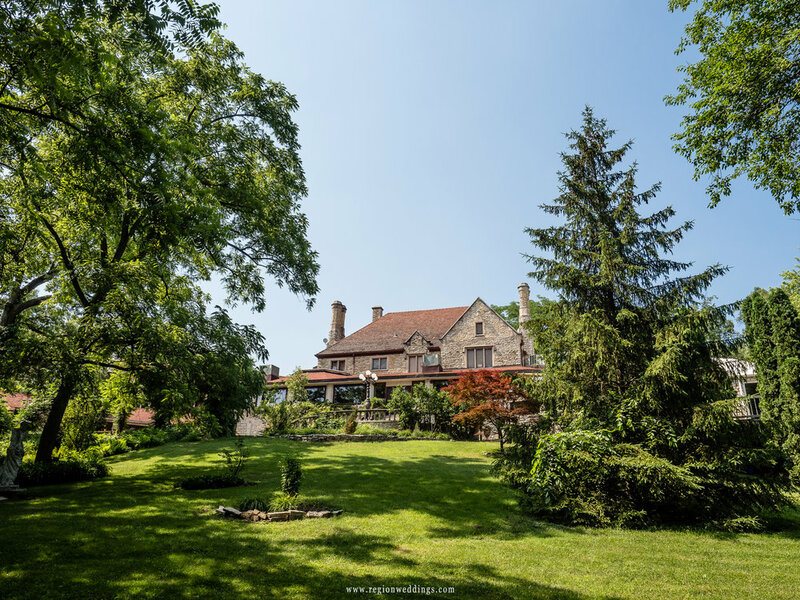 Summer wedding ceremony at Meyer's Castle. The groom walks his bride down the path from the gazebo. The wedding party having fun at Meyer's Castle in Dyer, Indiana. Romantic kiss for the bride and groom on the grounds of the castle. Romantic pictures at Meyer's Castle. Couples will sometimes bring a Thank You sign they they use later for cards and we took a variety of shots, but this "rock pose" from the bride and groom is probably my favorite. I caught the happy couple in one final smooch and then we headed inside to cool off and take some portraits in the lounge just before the reception started. The happy couple at their castle wedding. Wedding reception decor at Meyer's Castle. I usually show off first dances when I write these articles with the bride and groom first dance as the large image and the parent dances within a smaller collage. However, seeing as Valerie's Dad has gone through so much health wise this year AND it was the day before Father's Day - he gets the spotlight with this wonderful moment during the first dance with his daughter. Father of the bride with his daughter during parent dances. Good times at a summer wedding at Meyer's Castle. 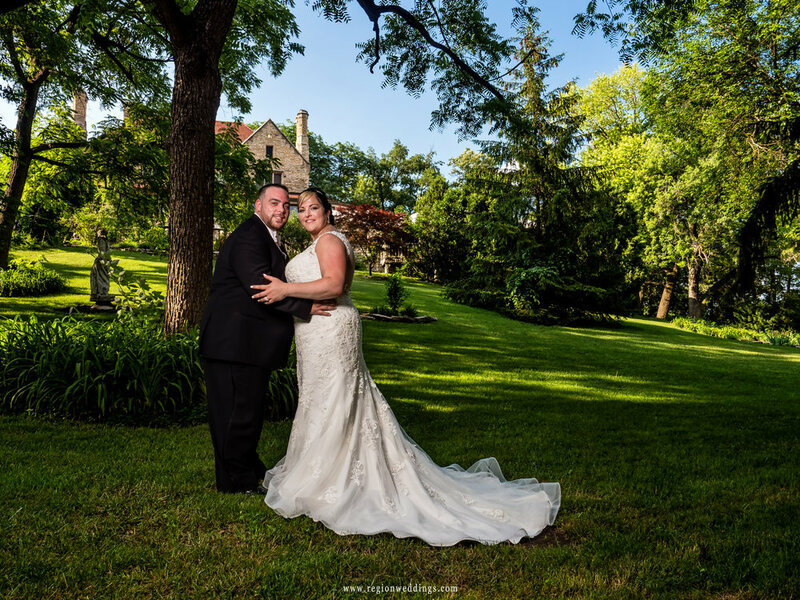 I hope you have enjoyed this sneak peek look at Valerie and Anthony's summer wedding at Meyer's Castle. Stay tuned to the social media channels below for more image previews. Also, be sure to fill out the Contact Form to inquire about your big day.